Hire Cancer Survivor Speakers for your Indianapolis IN event. Free referrals to professional keynote speakers Indianapolis Indiana IN. Speakers With Spark Upton Kentucky serving Indianapolis Speakers With spark are individuals that will ignite the audience in your meetings, expert high energy and inspirational speakers. These speakers will make any event a success and the planner a hero..Speaiers with Spark launched last year but Susan Rider, founder has been an international speaker for twenty plus years. Jack J. Laurie Annandale New Jersey serving Indianapolis When Jack J Laurie represents in front of a crowd they know he is there. His presence is felt from the moment he starts to speak. He knows all too well the fight families endure while trying to stave of path that cancer can follow. His talks are moving and pointed, and when he is done you will know you are not alone. A message of caring is a powerful one that he enjoys sharing with all. Join Jack as he talks as a father talks and family member whoes son who was not a survivor..Stage Hypnotist since 1988. Professional Speaker/teacher since 1974. The Cancer Club Minneapolis Minnesota serving Indianapolis International award winning author Professional Speaker. Her successful battle with cancer and her amazing recovery taught her that laughter is a powerful force in healing chronic illness. Christine has been presenting to hosptials, National Cancer Survivors Day events, nurses events and the general community for 18 years now. CEO President of The Cancer Club, Author of Not Now Im Having a No Hair Day, and Cancer Has Its Privileges. She speaks on using humor to get through lifes adversities..
10 year Terminal Cancer Survivor Las Vegas Nevada serving Indianapolis Hope, Faith, attitude. Motivation and inspiration. This speaker is a survivor of Terminal Cancer, Drowning, and Kidney failure. Larry has been performing and speaking for over 25 years and will share his humorous and inspiring stories of his trials and leave everyone feeling like they can conquer anything. Larry G Jones also headlines his own show in Las Vegas..15+ years as Professional Singer/Entertainer. Performing from east coast to west coast at major venues. Ongoing Headliner in Las Vegas Production Show! 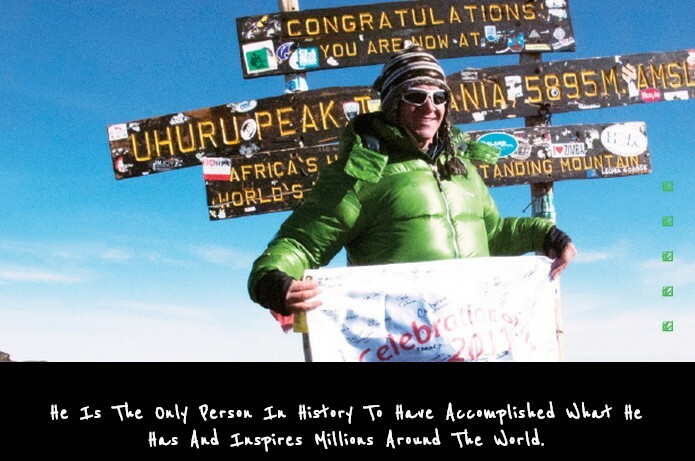 Sean Swarner BRECKENRIDGE Colorado serving Indianapolis Voted one of the top 8 most inspirational people of all time. 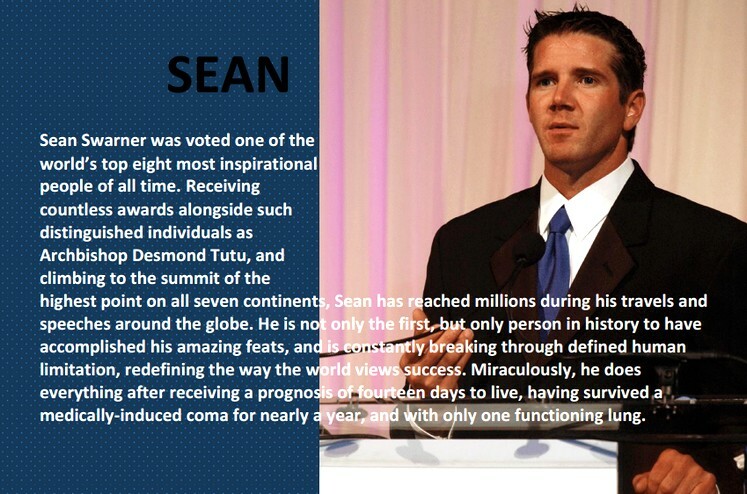 Sean is an exclusive speaker with countless credentials and a unique way of relating to everyone he meets. His presentations, talks, and appearances can always be customized to meet your specific needs. By working with you on an individual basis. 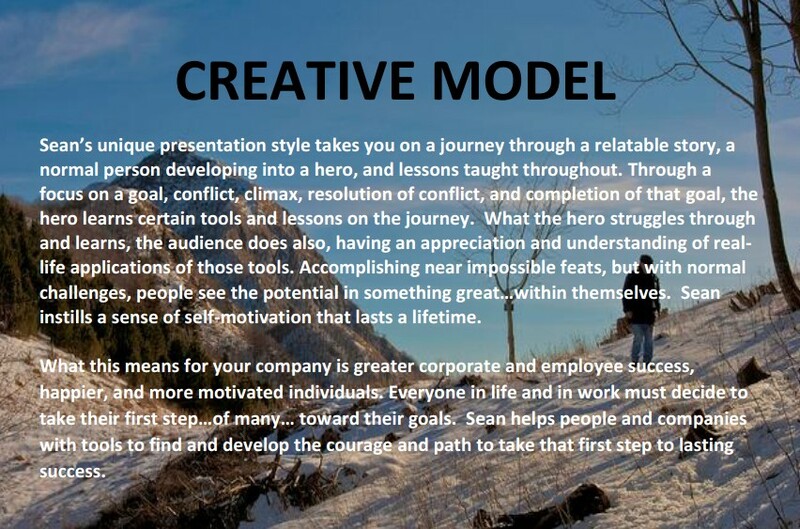 Sean will design a plan to help you achieve your personal or corporate success. Contact him today..
CD Communication Norman Oklahoma serving Indianapolis People laugh, cry, and understand Carol Dean Schreiner knows her topics about real life. She puts laughter in the hearts and knowledge in the minds of the attendees. A dynamic speaker. She is real, funny, entertaining, motivating and inspirational..I have been speaking professionally for 15 years, have written three books, have hosted a radio show, and have spoken across the USA, in Canada and on cruise ships to Europe & South America. Boston Party Makers Sharon Massachusetts serving Indianapolis Formed over 20 years ago, Boston Party Makers are a full service event and production company. From Children's Entertainment to Wedding Bands, From School Parties to Corporate Events we handle it all. We also can provide Staging, Audio Visual and Performe.Boston Party Makers have been providing entertianment services since the early 80's and under current ownership since 1989. Hypnotist Kellie Karl Parma Ohio serving Indianapolis Kellie Karl is more than just any Las Vegas entertainer--actress, singer, comedy hypnotist, motivational speaker and certified hypnotherapist--Kellie has raised the bar when it comes to multi-talented, multi-faceted performers..My entertainment company has been providing entertainment services for over 20 years for cruise ships, casinos, special events, corporate events, private events, parties and special occasions. Dr. Sue New York New York serving Indianapolis Susan Horowitz, Ph.D., is a MOTIVATIONAL SPEAKER, COMMUNICATION TRAINER, UN ADVISOR IN EDUCATION and CULTURE, BEST-SELLING AUTHOR of QUEENS OF COMEDY, based on her interviews with superstar comedians, and PROFESSOR. KEYNOTES Journey to Success, Diversity, Humor, Health and Stress, Jewish Comedy, Empowerment, Conflict and Anger Management, Aging, Executive Coaching, business, attitude, speech, speakers bureau. Dr. Sue enjoys the opportunity to speak, travel, entertain, and motivate..'NEW YORK UPBEATS' (Sue Horowitz-Singer, Laura Paulman-Pianist)have been delighting audiences for over 4 years. References, CD, and Video of live show available.